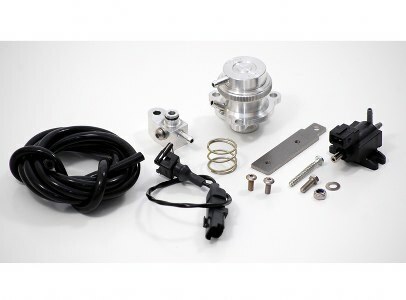 This alternative is a fully engineered solution offering both significantly improved reliability .The Forge valve is piston based , with no diaphragm to fail, and of all aluminium construction, it replaces the original unit with a pressure/vacuum operated piston valve that still also retains the desirable OEM ECU control over valve actuation. The valve has been proved on the VAG scene for many years. The spring is interchangeable for different levels of boost, and the solenoid is plug and play with the wiring harness which is included.